For everyone working with spatial databases in QGIS there comes a time when “Add PostGIS/SpatiaLite Layer” and “RT Sql Layer” start to be annoying. You always have to retype or copy-paste your SQL queries into the user interface if you need to change the tiniest thing in the layer’s definition. This is where “Fast SQL Layer” can be a real time saver. 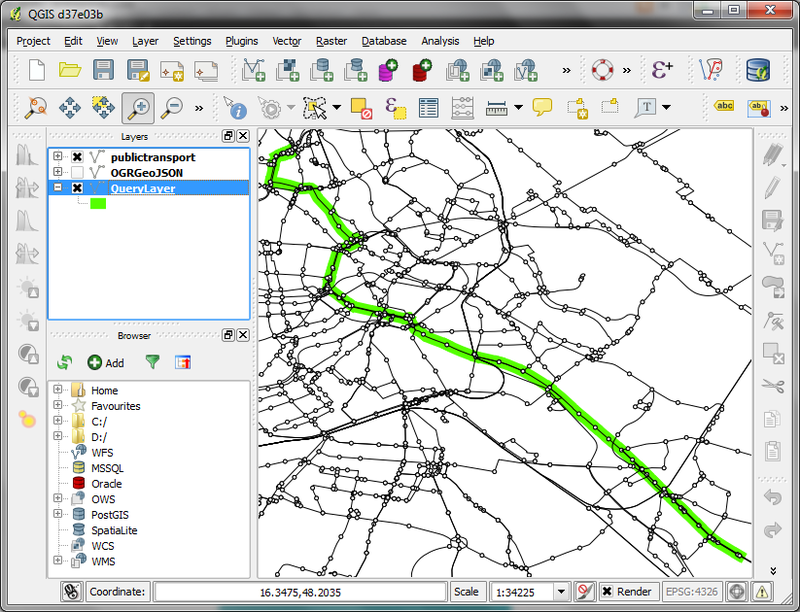 Fast SQL Layer is a new plugin for QGIS by Pablo T. Carreira. 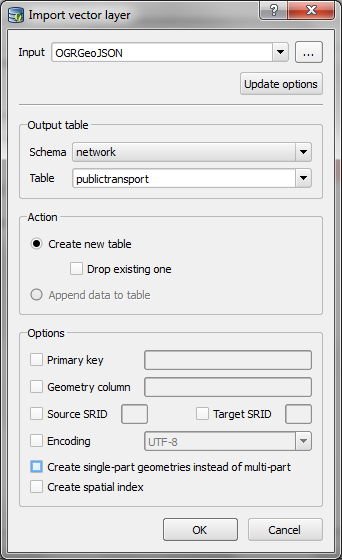 It basically adds an SQL console for loading layers from PostGIS/SpatiaLite into QGIS. And it even comes with syntax highlighting! Fast SQL Layer comes with one dependency: Pygments, which is used for syntax highlighting. When you activate the plugin in plugin manager, a dock widget will appear which contains the console and some fields for specifying the database connection that should be used. 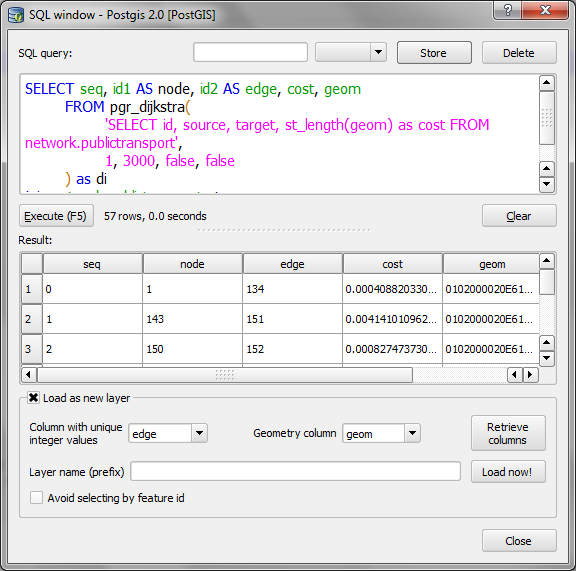 Then, you can simply write your SQL query and load the results with one click. It certainly needs some polishing on the user interface side but I really like it. To get the data into Postgres, I used the copy command with csv header option. The table has to exist already. “csv header” tells the command to ignore the file’s header line. 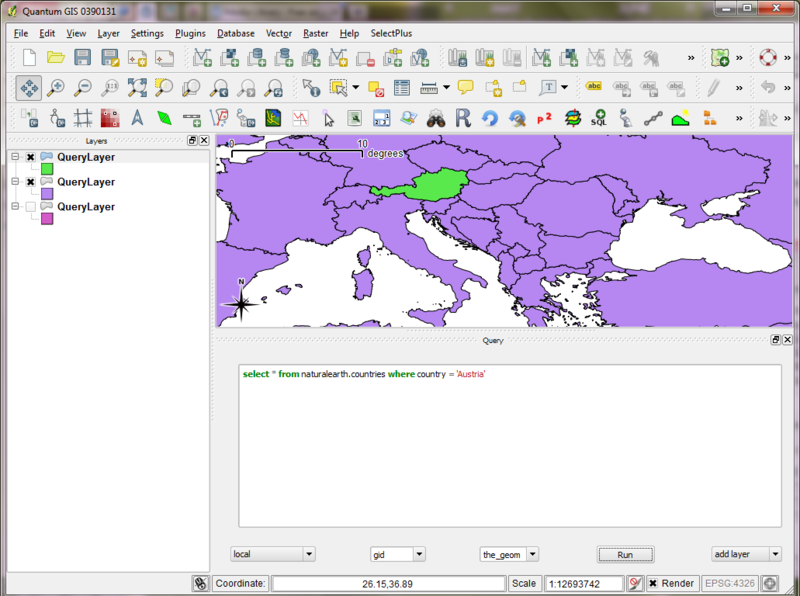 Besides many other interesting topics, Opengeo’s PostGIS tutorial discusses “Tuning PostgreSQL for Spatial”. All of these configuration parameters can edited in the database configuration file, C:\Documents and Settings\%USER\.opengeo\pgdata\%USER. This is a regular text file and can be edited using Notepad or any other text editor. An easier way of editing this configuration is by using the built-in “Backend Configuration Editor”. 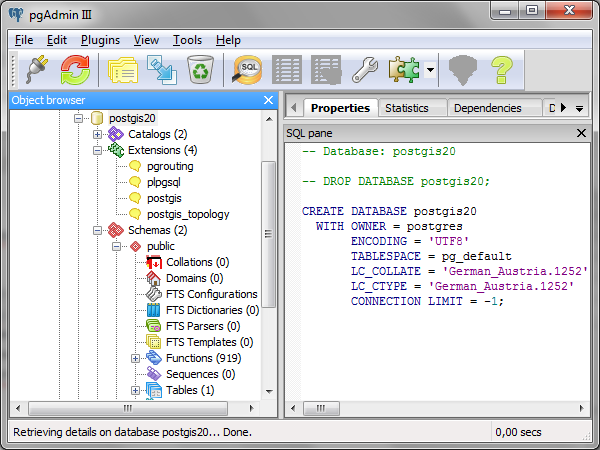 In pgAdmin, go to File > Open postgresql.conf…. 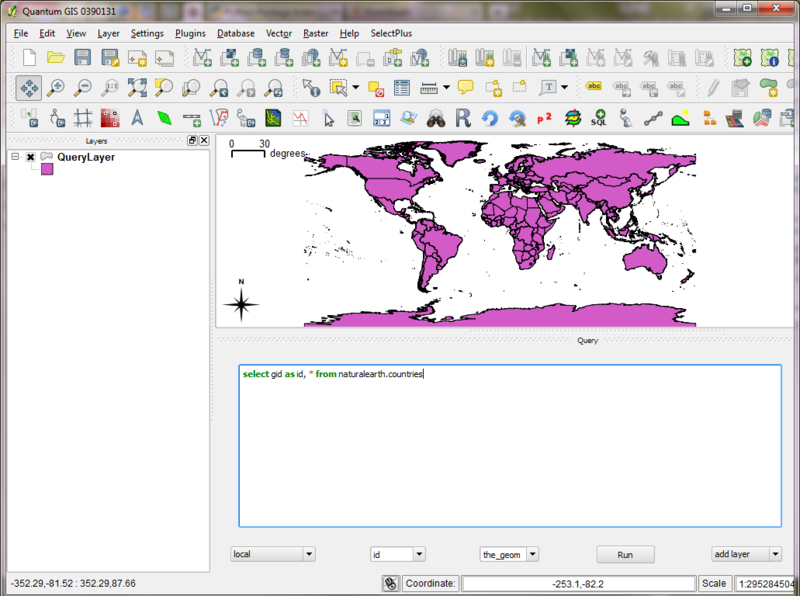 It will ask for the location of the file, and navigate to C:\Documents and Settings\%USER\.opengeo\pgdata\%USER. The changes will not take effect until the server is restarted. Now for the juicy part: Let’s create an INSERT trigger function! First, let’s have a look at the corresponding table structure. We have two tables “user_data” and “user_keywords”. “user_data” is the table that’s being filled with information from external functions. “user_keywords” has to be kept up-to-date. It is supposed to count the appearance of keywords on a per-user base. First, the keyword list has to be split. Then a row has to be inserted for new keywords (compare insert_plan) and the counter has to be increased for existing keywords (update_plan). The values that are about to be inserted can be accessed via TD[“new”][“column_name”].